Family Vacations are Better at Beaches!! Book your next family vacation at one of the most popular family resorts in the Caribbean. Beaches includes 3 resorts located in Jamaica and Turks & Caicos, offering more quality inclusions than any other resorts on the planet! You may ask, what’s included in your stay at Beaches? There is literally something for everyone from young children to parents and grandparents making Beaches the perfect getaway for the entire family. When you book a vacation at one of these resorts you can rest assured you will arrive to luxurious accommodations and personalized service, great entertainment, gourmet dining and top-shelf drinks at multiple restaurants and bars located on property. Relax on some of the most beautiful beaches in the Caribbean or get adventurous and explore the underwater world with scuba diving and snorkeling excursions. For younger kids, Beaches features large waterparks at each resort, kids programs and live shows featuring Sesame Street characters. Entertainment for teens includes beach parties and bonfires, themed nights and teen clubs, game rooms and arcades. Adults can enjoy swim-up bars, cocktail parties, night clubs and live music. Be sure to take advantage of the wide array of watersports offered at each resort, Beaches is the ONLY resort to offer both non-motorized and motorized watersports. You will never be bored at Beaches!! Beaches Turks & Caicos is set on the famous Grace Bay Beach on the gorgeous island of Turks & Caicos. There are four different villages to best fit your family’s wants, the French, the Caribbean, the Italian and the Key West Village. The Key West Village recently added 150 guest rooms that give you the choice of a 4 to 5 bedroom villa or a 1 to 2 bedroom suite to accommodate your entire family all together. 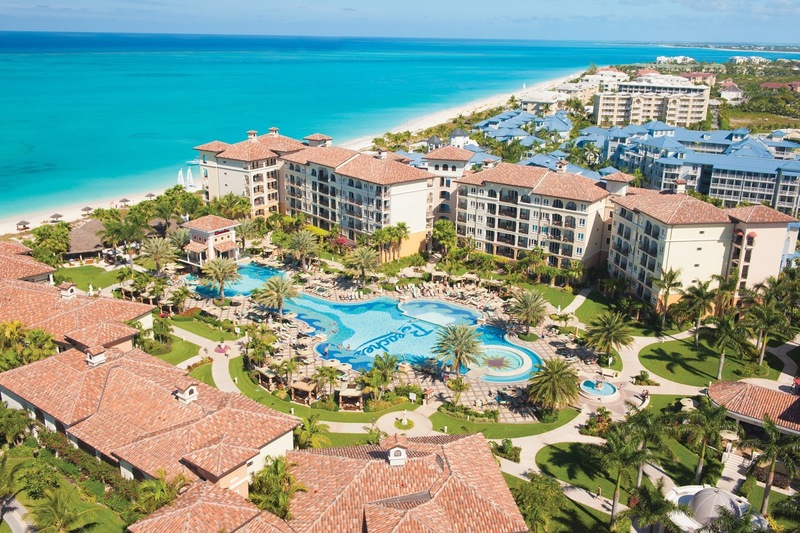 The resort features a 45,000 square foot waterpark, 3 new pools and 3 new restaurants have recently been added offering you 20 restaurants now to choose from when staying at Beaches Turks & Caicos. 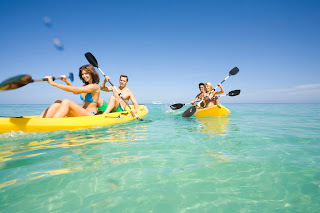 In Jamaica there are two Beaches resorts, Beaches Negril & Beaches Ocho Rios. Undergoing recent renovations, Beaches Ocho Rios is unveiling a new look and new experiences for guests. 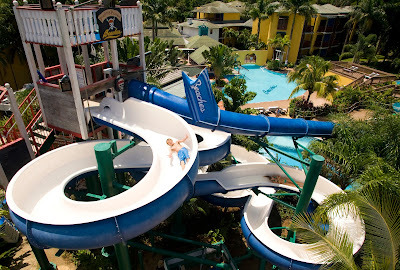 Nestled among lush greenery and the beautiful blue Caribbean Sea lies a fantastic family friendly all-inclusive resort featuring an 18,000 square feet waterpark, six restaurants and a nearby golf course all included in your stay at Beaches Ocho Rios! Beaches Negril is located on a stunning 7-mile stretch of pure paradise featuring beachside pools, restaurants and bars. The latest waterpark expansion includes 18,000 square feet of waterslides, zero entry pools and a lazy river! Enjoy gourmet cuisine at 9 restaurants featuring a variety of flavors from Italian and French to Bar-B-Q and sushi. A brand new MasterCraft ski boat at the resort will provide guests a thrill seeking adventure while water skiing and wake boarding on the calm waters of the Caribbean. If you’re looking for the ultimate relaxing vacation with as much or as little to do as you please, Beaches Negril is the place for you!